Is This What Every Major Park in The World Needs? 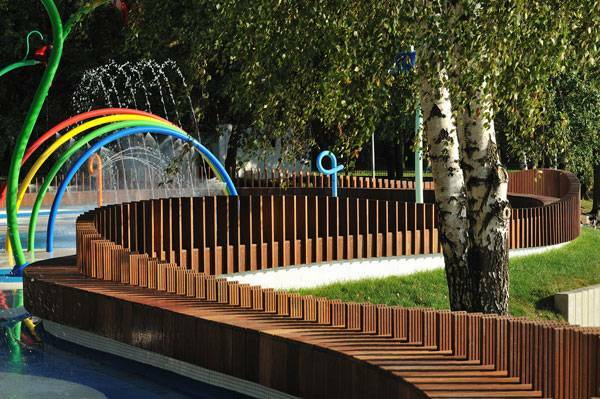 Article by Paula Uzarek Water Playground, by RS+, in Tychy, Poland. Playgrounds are a topic inseparable from landscape design. 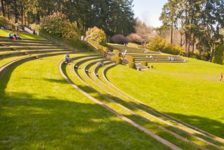 How do landscape architects create them? It is important to include colors, shapes, fun and safety in a form adjusted to the space that designer has at their disposal. Yet motives and themes echoed over and over again are imprinted in our minds, making the existence of innovative designing processes almost impossible. When correlating minimalism and the quiet harmony of nature with a colorful, energetic playground, the task seems to be unrealistic. 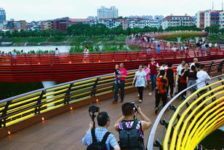 Fortunately, landscape architects move beyond the typical schemes. 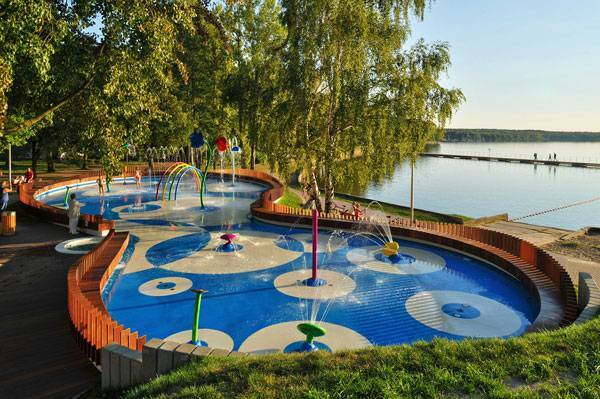 The water Playground in Tychy is an excellent example of inspiring and intelligent play area design and the first such project in Poland. It is good to understand the larger setting before seeing the water playground area itself. A scenic reservoir of Paprocańskie Lake, situated in the purlieus of forest at the south-west of Tychy, this area has been a top place of recreation for many years. 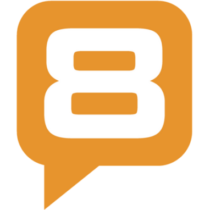 After modernization of the site was conducted recently, it gained even more popularity. 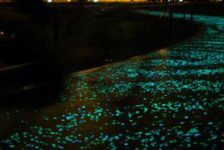 The new elements that catch a visitor’s attention at the lake are parkways and a huge pier that has two possible points of entry. Gentle strolls are possible right next to bike rides. Starting with a traditional playground, the first area there has many recesses, steps, climbing nets, two open slides and one tube slide. Ropes are used in another part. A second area contains a hidden cafe. One might think that this amount of recreation facilities would be enough. But is it really? Is there anything more a designer can do here? Evidently yes. 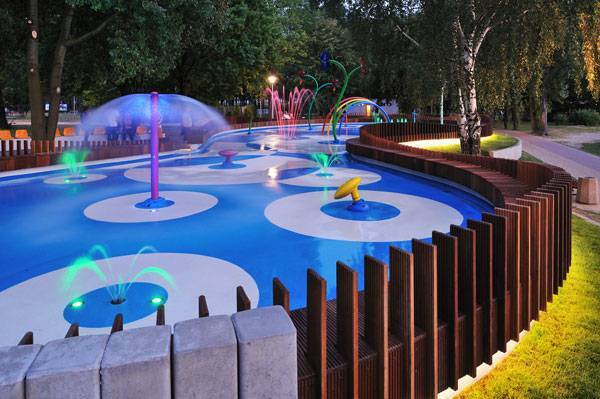 The main attraction is the colorful water playground incorporated into the landscape. 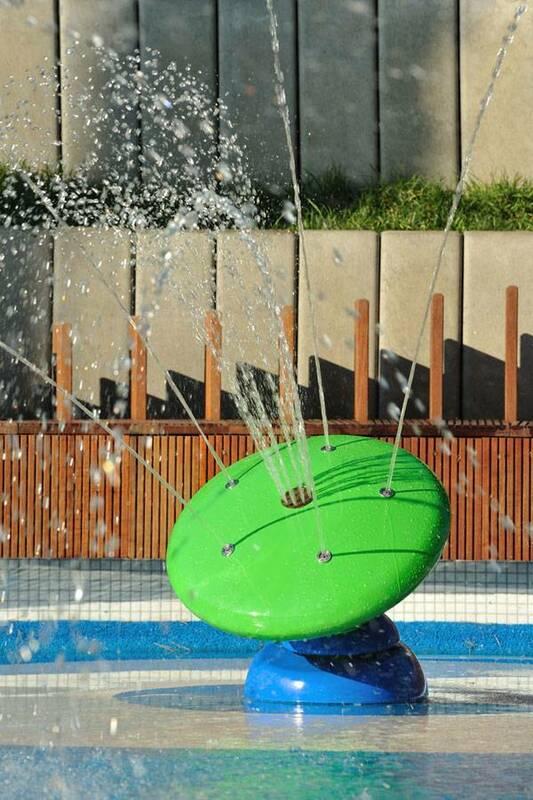 Especially on hot days, it entices children and their parents with the use of multiple colorful fountains which stimulate the imagination. 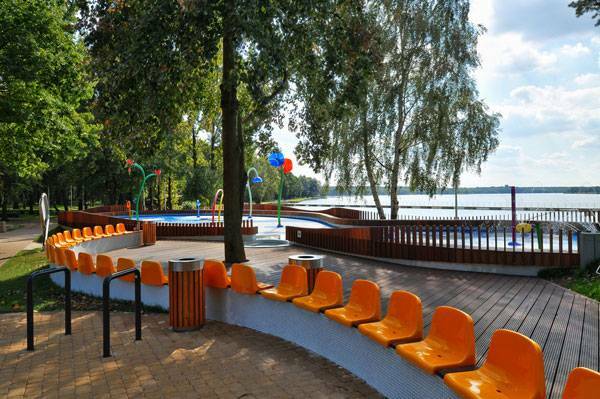 The water playground itself was opened on a portion of the Paprocany resort in Tychy. 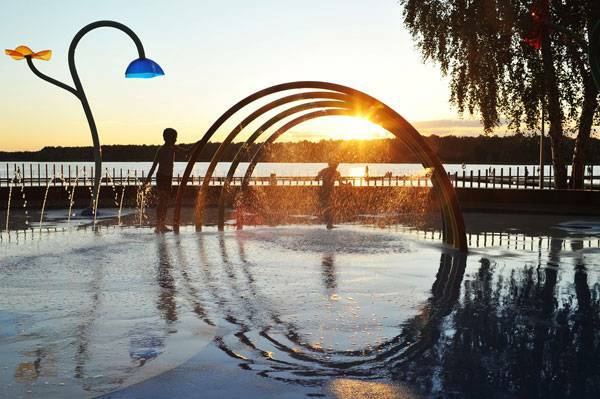 In 2010, Robert Skitek, with his architectural studio’s design team RS+, created the design of shallow basins and fountains destined to delight many adults and children alike. 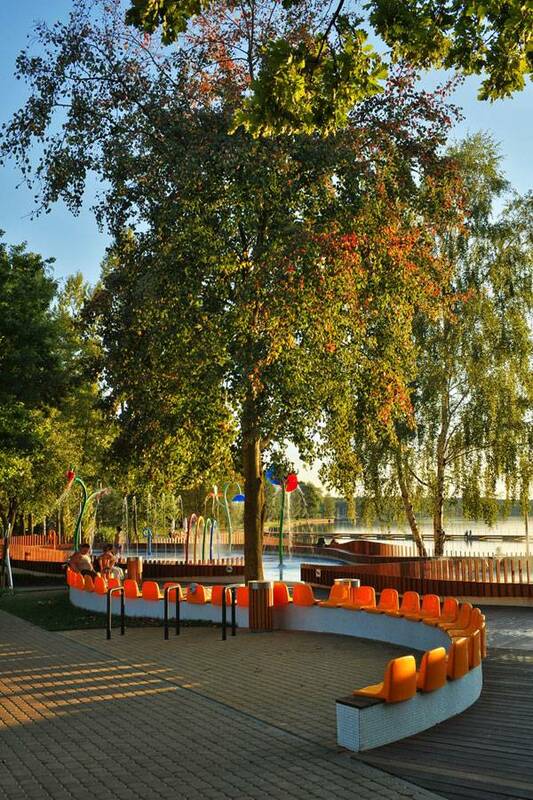 The space for kids is over 300 square meters and its shape, especially the water part, is harmoniously adjusted to the surroundings of trees growing in the park. 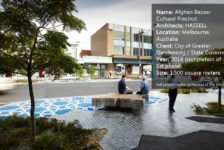 While locating a design in more natural areas, the newest landscape architecture trends tell us to make a design as sensitive to the existing conditions as possible. This is exactly what RS+ has done. The basins meander around the existing topography, integrating the artificial water sources with nature. It is like a message to children’s subconscious that the greenery is an important part of life. Maybe they will not spot the idea right off the bat, but the aesthetics will definitely in some way influence their future perceptions. Having fun in a natural and friendly environment is far more pleasurable than in a concrete jungle. 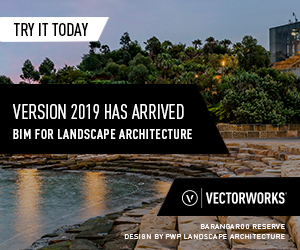 Of course sometimes landscape architects have no choice because of the playground’s location, but here the potential of the site is fully employed. Can this be even greener? Technical rooms, necessary for water management, are hidden in the north under ground level and are invisible to uninitiated viewers. In the east, beside the playground, a bike square; an invitation for all cyclists, touches the park alley. 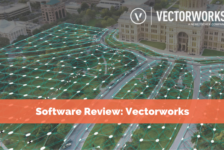 Now the users can do less harm to the environment by leaving their cars at home. The playground’s plan reminds one of a picture of paramecium, the water organism. The inspiration of science is evident. After biology, the design culls from mathematics. As the designer says; “to gain clarity of the project, the elements of the fencing are a wooden construction made up of a parametric structure based on two sinusoids dislocated against each other”. The form is neat and minimalistic. Moreover, the fence functions well, being at the same time a very characteristic part of this playground. The 50% open fencing design does not disturb the visual reception of the project but serves at the same time as a protection against animals and humans. The material used here is wood which is also applied in the design of bench around the basin. Care and observation of children can be taken from a small distance, on comfortable seating right next to the entry. The Safety of Children is Most Important The place is then safe, even for the youngest, due to the blue non-slip surface covering the ground around the basins. The pattern is meant to connote, with modern variation, circles in the water. This is another nature-inspired motive. 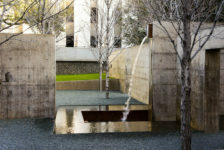 Water fountains were chosen according to their impact; this is another accent of the deep design consideration process. The fountains toss the water in different manners. For the youngest children, water is splashed from fountains with small strength. Older users in the second part have to work with fountains which spray a little bit harder. Children enjoy wading and paddling inside basins running around the blooming water features. 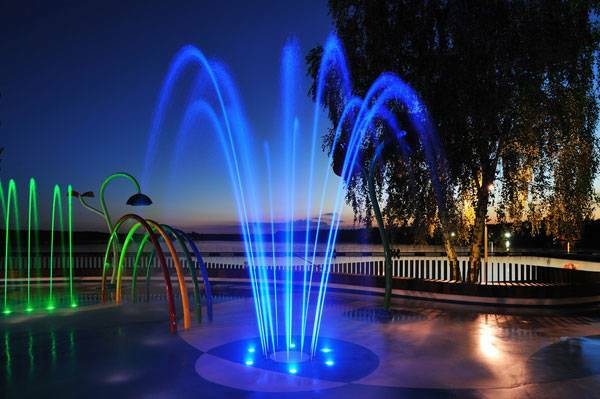 To replenish the water playground design, at night it becomes a fantastic fountain illuminated with highly-colored LED lights.